A place which was initially a spot for furious protests by the locals has been converted into a favorite tourist spot for the tourists. 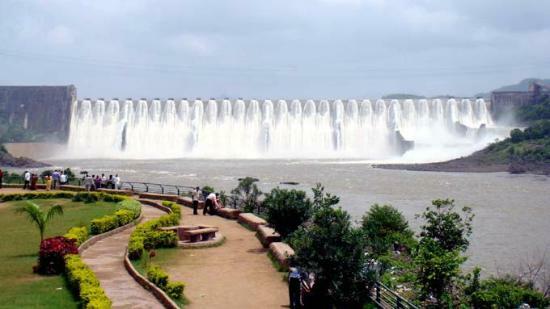 The dam is located between the banks of the river Narmada and Kanjan in South Gujarat. 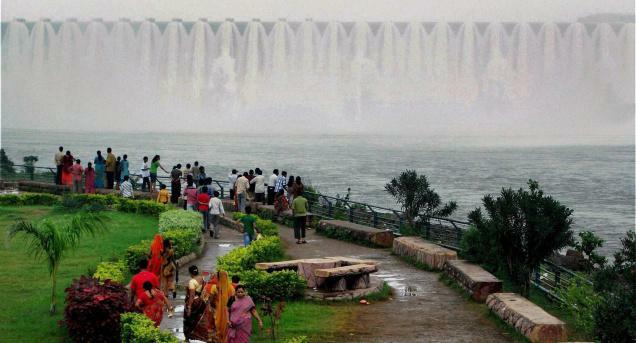 Though the benefits were highly debated initially, the Sardar Sarovar Dam has people around the year and is pulling off quiet a wonderful job as a tourist spot. The Sardar Sarovar Dam Project is one of the largest dam projects of South Asia and hence it is a reason of immense pride for Gujarat. The Dam is divided into a garden, the foundation stone area, a site with a side view of the dam, a lake where boating takes place, the first lock gate of the main canal, a trekking site with a nature education camp for students. The model room present gives the tourists an intriguing in depth knowledge of the working of the dam. The tourists are enthralled by the sound of the water crashing down, and the white foam caused by it is a wonderful sight. The Kevadia colony situated at the base of the Dam is the colony built by the Government for the employees of the dam and the Surpaneshwar Shiva temple is also built near the site because the original ancient one was submerged by the waters of the dam. This place is a recluse into natures lap with very modern touch. Not only can the tourists experience the architectural and infrastructural capabilities but it also comes with the serenity of nature along with all the rivers, rivulets, hills and landscapes. The plan for harnessing the water was initiated way back in 1946. After seven projects and inspection processes, the foundation stone was laid by then Prime Minister, Pandit Jawaharlal Nehru on 5th April, 1961. However, it was faced with a lot of controversies regarding the sharing of the river waters between the state governments of Gujarat and Madhya Pradesh. But the NWDT gave its final verdict with a green light on December 1979. The Narmada River runs along the border of Vadodara district and hence can be accessible in various ways. The sites of Bharuch, Rajpipla, Chanod and Dabhoi are accessible by buses. 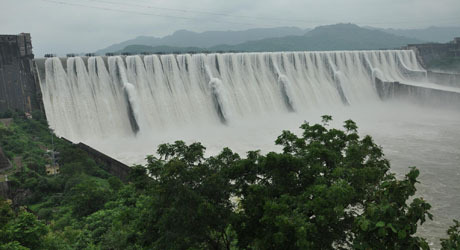 Private cars can be used to access the Sardar Sarovar Dam Project. Bharuch happens to be the nearest railway station along with Vadodara being the closest city with an airport. The best time to visit the Dam is at the starting of winter during the months of October and November as one can get the best possible weather.